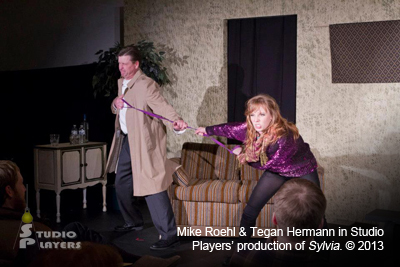 Studio Players was created in 2012 as a unique alternative to the main stage productions at Sheboygan Theatre Company (STC). Great theatre can come in all shapes and sizes, and not every show is effective as a large-scale production. With this is mind, Studio Players partnered with Paradigm Coffee & Music in downtown Sheboygan to create The Paradigm Annex Theatre, an intimate, transformable space that can accommodate shows of a scale that would be inappropriate for STC’s large main stage. 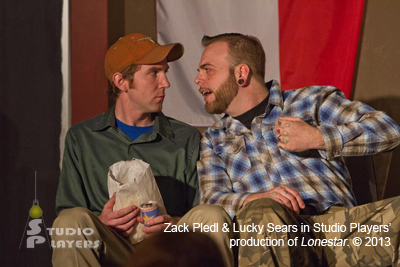 Studio Players strives to offer content that is thought-provoking, moving & entertaining. The Studio Players stage is a place where experienced and first-time actors, directors & producers can come together as teachers & students. Work containing adult themes or language, not ideal for STC’s family-friendly philosophy, can be presented here without fear of offending. Taking advantage of the experience and talent of some of STC’s most dedicated volunteers, Studio Players launched three sold-out productions in the Fall and Winter of 2012 and the Spring of 2013. 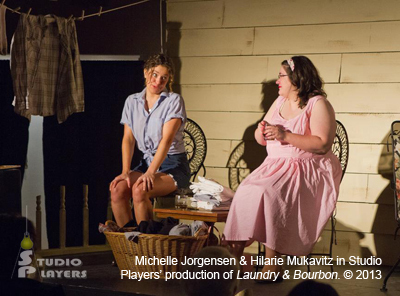 Studio Players expanded its season to include a Summer production in 2013, creating a four-production season featuring two dramas and two comedies. For more information on Studio Players and how to get involved or buy tickets, please contact Studio Players at studioplayers@outlook.com. You can also follow @StudioPlayersWI on Twitter or Like Studio Players on Facebook.